Another meat recall has been issued, this time by Denver Processing LLC. The company is recalling approximately 13,865 pounds of raw pork and beef products that did not receive a federal inspection. The recalled pork and beef were produced on April 9. It has an establishment number of EST. 6250 within the USDA mark of inspection on the case label as well as on the product label. 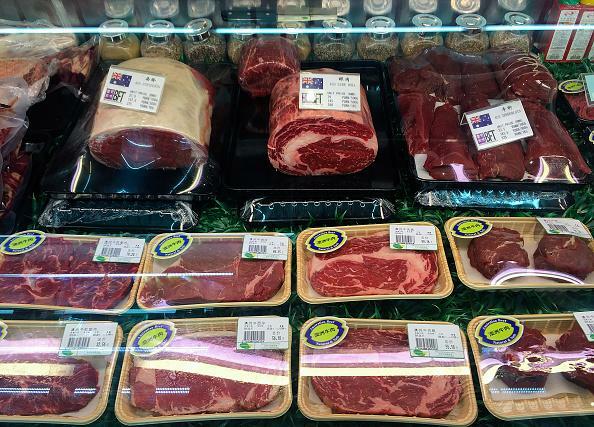 The recalled meat was shipped to retail locations in Colorado, Kansas, New Mexico, Utah, and Wyoming. Varying weights of plastic wrapped trays containing Pork Sirloin Boneless Chop with a Sell By date of 04.18.19 and a lot code of 099. It has a case code of 60047 and a time stamp after 14:30. Varying weights of plastic wrapped trays containing Pork Boneless Loin Top Loin Roast with a Sell By date of 04.18.19 and a lot code of 099. It has a case code of 60105 and a time stamp after 14:30. Varying weights of plastic wrapped trays containing Diced Pork Super Value Pack with a Sell By date of 04.18.19 and a lot code of 099. It has a case code of 06385 and a time stamp after 14:30. Varying weights of plastic wrapped trays containing Pork Loin Boneless Chop with a Sell By date of 04.18.19 and a lot code of 099. It has a case code of 60063 and a time stamp after 14:30. Varying weights of plastic wrapped trays containing Pork Loin Boneless Chops family Pack with a Sell By date of 04.18.19 and a lot code of 099. It has a case code of 19498 and a time stamp after 14:30. Varying weights of plastic wrapped trays containing U.S.D.A. Choice Beef Chuck Pot Roast Boneless with a Sell By date of 0418 and a lot code of 099. It has a case code of 69481 and a time stamp after 14:30. Varying weights of plastic wrapped trays containing U.S.D.A. Choice Beef Top Round London Broil with a Sell By date of 0418 and a case code of 69479 and a time stamp after 14:30. Labels of the recalled meat can be viewed here. The U.S. Department of Agriculture’s Food Safety and Inspection Service (FSIS) is urging consumers to check their refrigerators and freezers for the recalled meat products. They should not consume the recalled pork or beef. They should throw the affected product away or return it to the place of purchase. The company has not received any reports of illness due to the recall. Consumers that are concerned about adverse reactions to the recalled meat should contact their healthcare provider. Consumers with questions about the recall can contact Adam Williamson, consumer affairs manager – liaison at Denver Processing at 1-303-778-3168. The issue was discovered by the FSIS on April 10, when it was notified that Denver Processing produced after their approved hours of operation.